The Ostrich is a very unique bird. There are plenty of great facts about them that will increase your understanding and awe of them. They belong to the Ratite bird family. They aren’t able to fly even though they have wings. They run and they walk. They can cover 16 feet per stride. 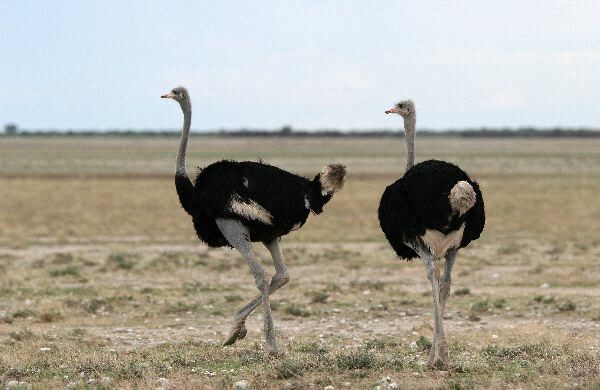 The wings of the Ostrich are out when they run to offer them balance. They have two toes and a 4 inch claw on each foot. This helps the Ostrich to have traction while they run. The legs are very powerful and can be used for protection if they can’t run from danger they will kick. The force can kill large animals. 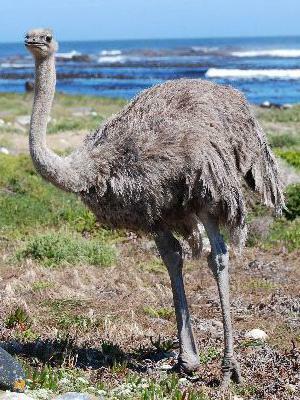 There are five subspecies of the Ostrich. Only one of them is extinct. They are commercially raised on farms due to the leather that can be produced from them. They are also used for the quality of their feathers. In some locations Ostrich meat is very common due to the fact that it is low in fat, cholesterol, and calories. There are more than 2 million Ostrich at this time. They aren’t at risk of extinction based on those numbers. They don’t require very much food in order to grow to their full potential. Ostrich are known to be farmed in more than 50 countries. The fastest two legged animal in the world is the Ostrich. They can move up to 45 miles per hour for several minutes at a time. They can move at 20 to 25 miles per hour though for up to a distance of 30 miles without stopping. They do not bury their heads in the sand; it’s just a popular belief. They tend to blend in well with their surroundings. To avoid danger they often lay low and try to blend into the sand around them. Ostrich can be very aggressive when they feel that they are in danger or when they have eggs to protect. It is the tallest and heaviest of all birds. They can be up to 9 feet tall. They can weigh up to 350 pounds. Their diet is vegetarian – roots, leaves, and flowers. They will also eat small rodents and insects as well. They live in areas that have grazing animals around them. The grazers stir up the food that the Ostrich will rely on for their diet. They have great vision and are tall to see potential threats and they can alert the grazing animals. Ostrich are called herds instead of flocks. Each herd has a dominant male and up to 7 members. The role of the dominant male is to protect the herd. There will be a dominant female too. She is the only one that will mate with the dominant male. All hens in the herd will lay their eggs into the nest of the dominant female. She will protect all of them. The communal nest can have up to 60 eggs in it. Each of them can weigh 3 pounds. It can take 40 days for the eggs to start to open. The lifespan for an Ostrich is up to 40 or 45 years.